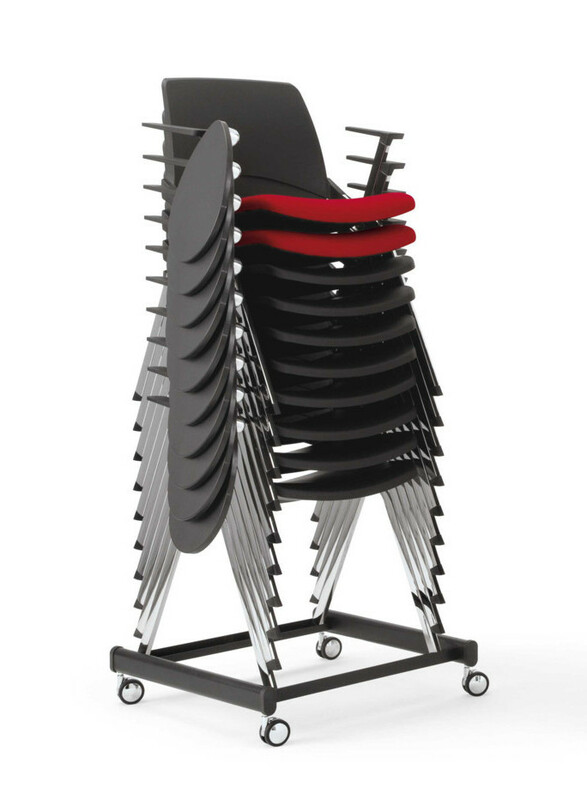 The particularity of Oplà is that you can stack vertically up to 20 Oplà chairs but not only. 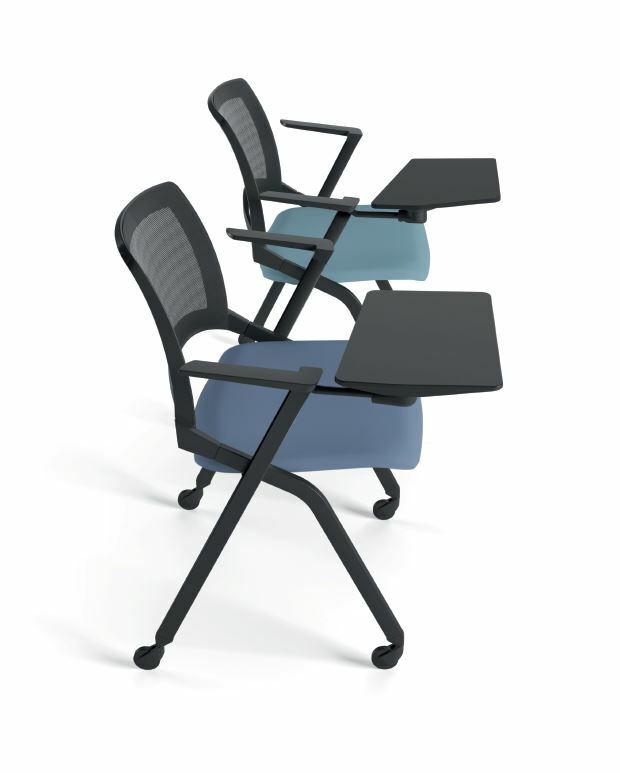 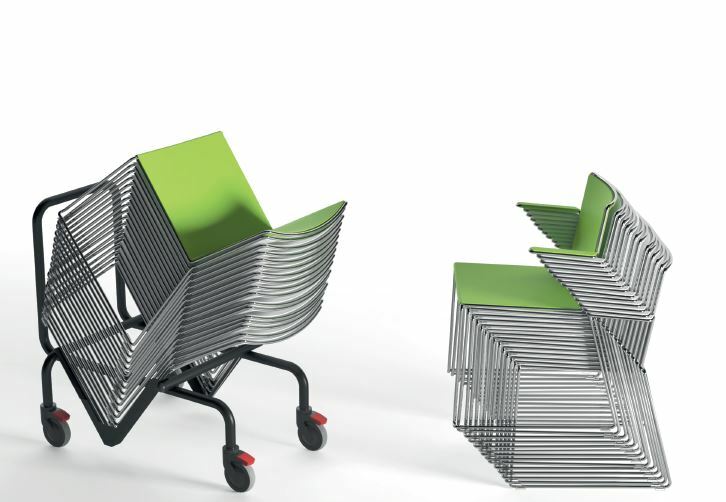 Oplà chair could be put back also horizontally, thanks to the tip-up seat. 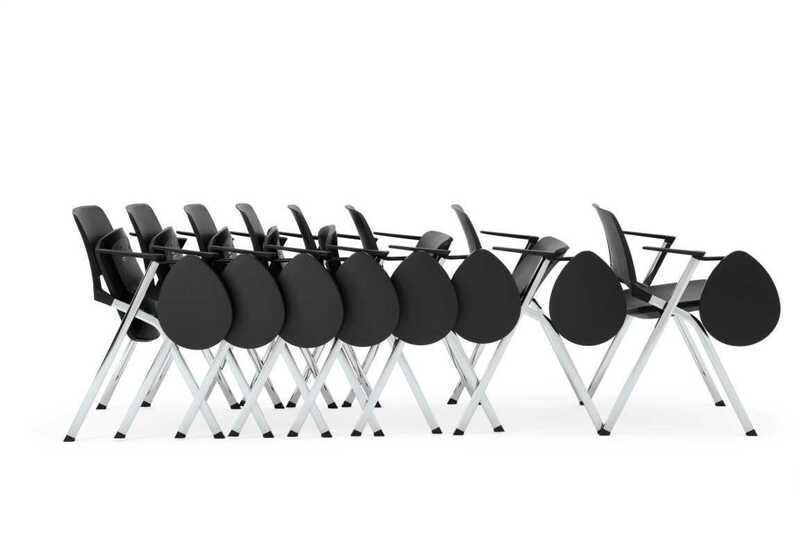 It has a steel pipe frame, painted or chromed, and polypropylene seat and backrest, also available upholstered, covered in fireproof fabric Mirage. 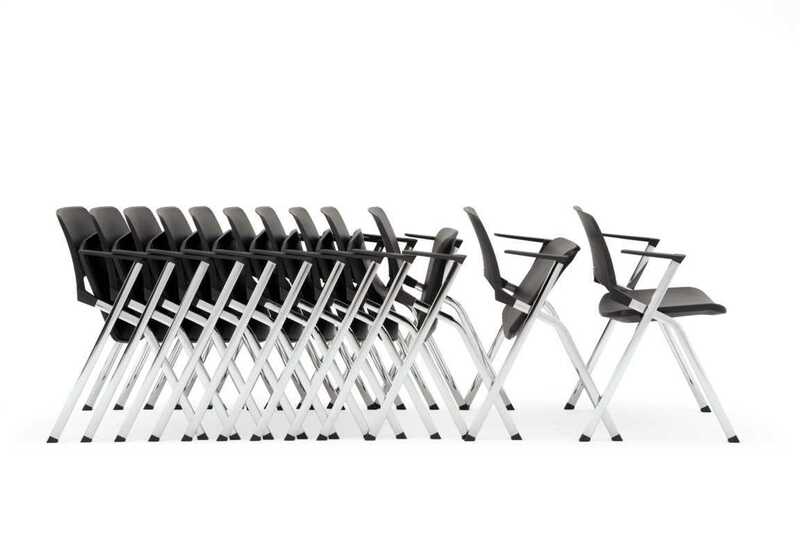 Oplà is not a common conference chair. 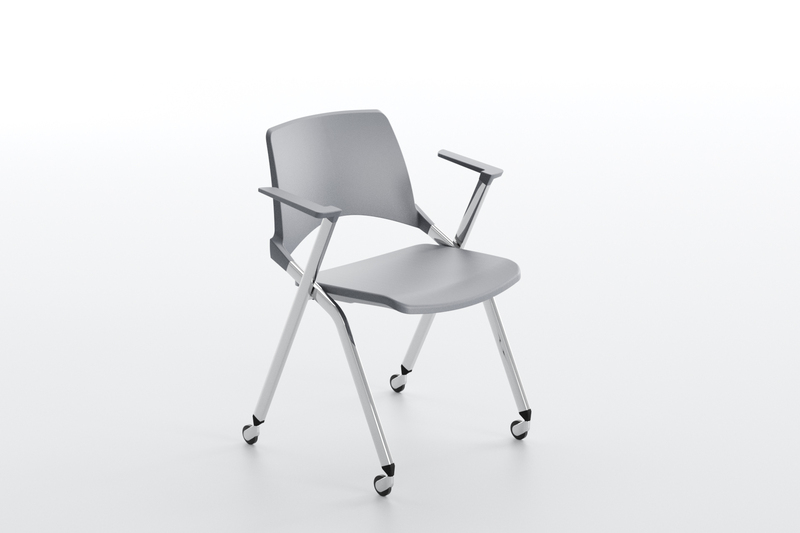 The most favorable quality of Oplà is that is available in different forms and uses. 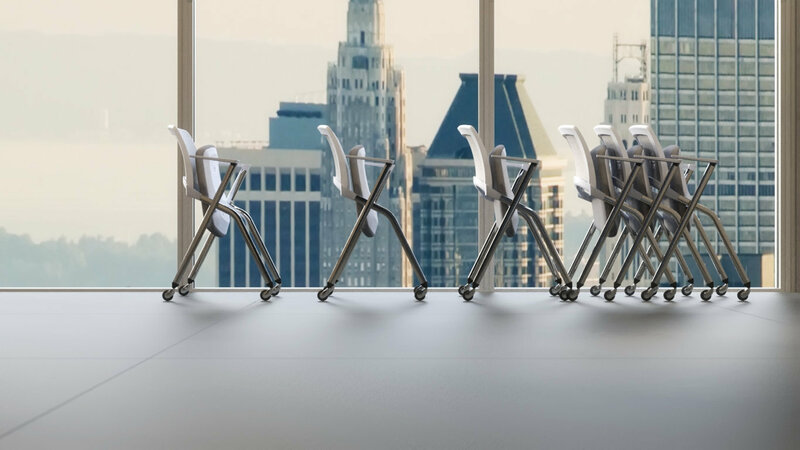 It could be the right solution for conferences, meetings, training rooms and schools. 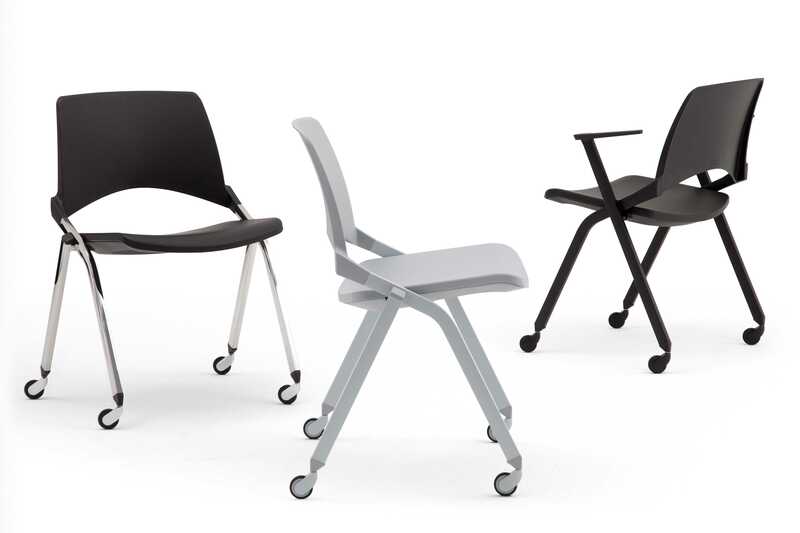 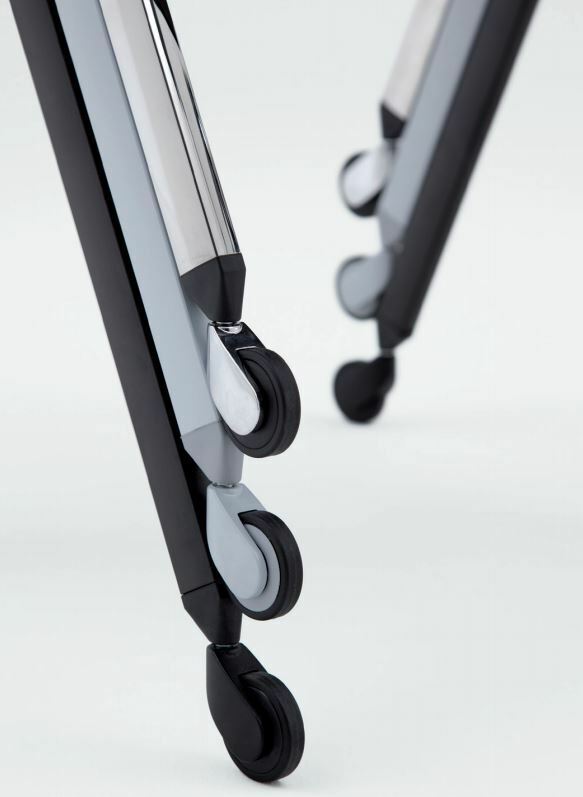 You can choose among Oplà with castors, with armrests or with black writing tablet.